We are very proud of our school and all of the opportunities that we give our pupils. We value all individuals, pupils and adults, and seek to ensure that everyone reaches their full potential, leaving them ready for the next stage in their learning journey. We believe that we are an open and welcoming school and have excellent relationships with our parents. This is very important to us. Our Year 6's could hardly contain their excitement today, as they received their brand new Mini Leader Hoodies! A huge well done to all of our Mini Leaders, who have worked extremely hard this year and are continually showing such dedication in their roles and developing new, exciting games to try! Here are our spelling lists and activities for our fist spelling test (Thursday 2nd May) after the Easter holidays. Have a great holiday! Team Discovery showed off their drumming talent to parents this afternoon in an energetic performance. They have been learning to play a selection of instruments with Mr Henderson and Mr Allcock and showed great talent playing in unison. We started with a challenge that made us think about our personal likes and dislikes; we collected items from around the wood to represent these and then explored the things other people had collected. After this, we split into three groups with some children planting trees, others undertaking a sensory challenge with a final group taking on an orienteering course. A lot of YOU22 pins were given out today for Collaboration and Helpful - one kiddiwink even picked up a coveted Golden Star Award (GSA) for Leadership - was this your little one? Well done to all our achievement assembly winners this week. The children have all worked really hard in mathematics and stood out to their respective teachers for their perseverance, effort and progress. Also, well done to our Headteacher's Award winners for their consistent hard work and positive presence in the school. These word lists and games are for our final spelling test of this term. This will also be your final chance to get a score towards earning a spelling stars certificate! Good Luck and have fun learning them. Mr Gordon. Over the past few weeks, the children have been designing their own Viking Commemorative Stones - choosing a powerful viking name, translating this into runic before adding / designing symbols to represent their power and prowess! Last week, we made our 'stones' using Plaster of Paris (thanks for the tubs), and this week we have carved our designs onto them, just as the vikings of old would have! The children were incredibly focused, with most YOU22 awards being for Collaborative, Helpful and Precise. Next week, we will paint and mount the stones, ready for bringing home. Equality TB - back to winter? As the chilly wind blew, we undertook an activity inspired by National Autism Week - it highlighted our uniqueness and we reflected on the implications of this when thinking about our relationships. After this, we split into groups with children planting trees, undertaking drama, using tools, painting, building dens and working with clay. 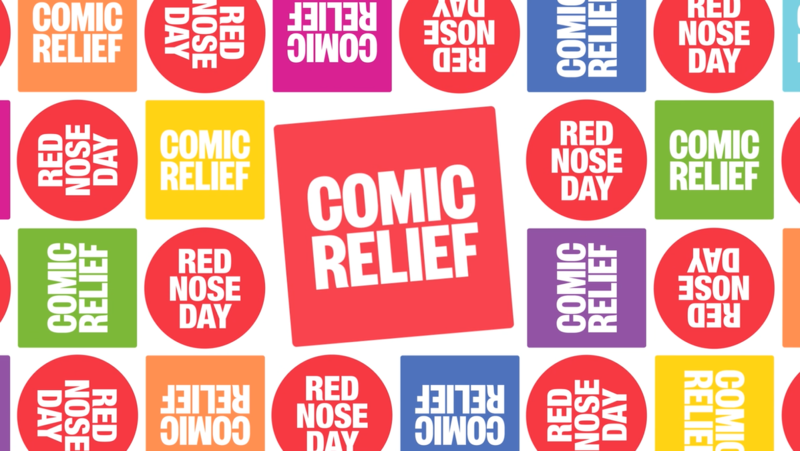 The children have once again surpassed our expectations and gone the extra mile, raising a staggering £1289.76 in sponsorship for Comic Relief through their participation in the Kilburn Kilometres. As a school, we are so proud of all who supported this event, including the pupils from our partner school Smalley Richardson. Thank you for helping make a difference to the lives of others through your effort, hard work and determination.